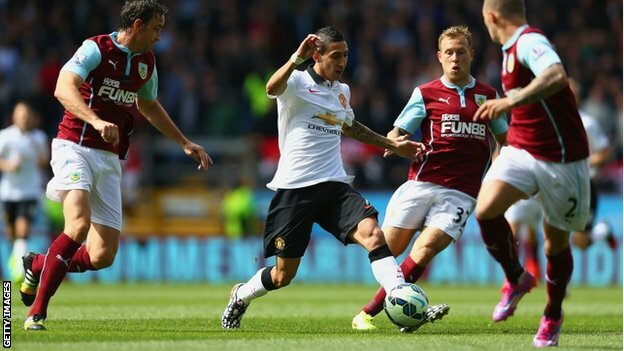 British record signing Angel Di Maria was unable to inspire Manchester United to a first win of the season as they were held by Burnley at Turf Moor. Di Maria, 26, impressed following his £59.7million signing from Real Madrid before being replaced after 70 minutes. But the nearest United came to scoring were two efforts from Robin van Persie. Burnley, who hit the bar through David Jones, warranted their first point of the season after a first goalless draw in 41 Premier League games.